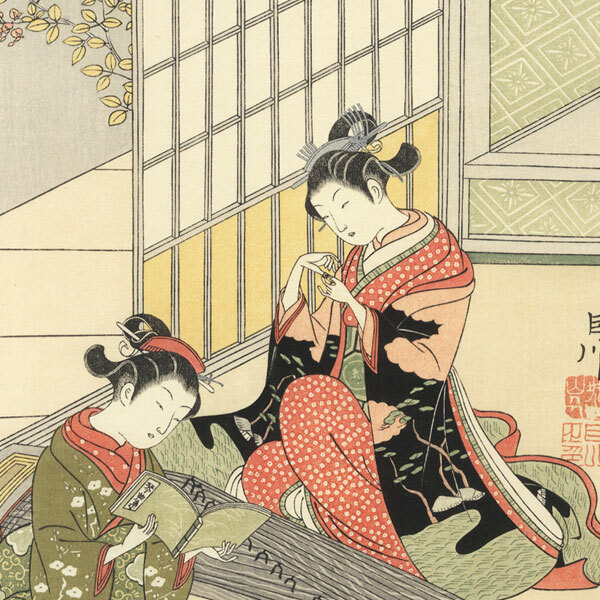 Descending Geese of the Koto Bridges - Fantastic design from Harunobu's masterful series "Eight Views of the Parlor" showing two elegant young beauties sitting on either side of a koto. The bridges of the musical instrument create the appearance of a row of geese descending for the evening, hence the title. 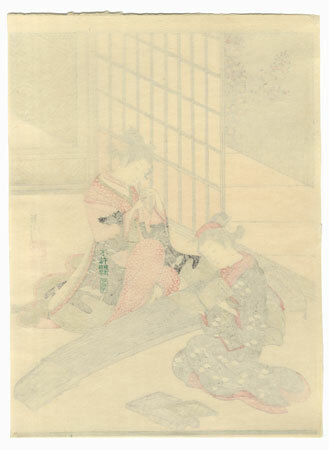 Beautifully drawn with fine delicate detail and subtle coloring. 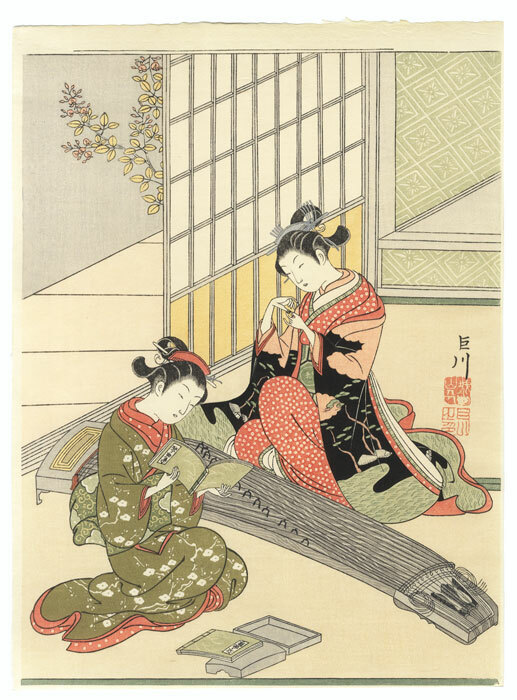 A lovely work from one of Harunobu's well-known series parodying the famous "Eight Views of Omi" with scenes from everyday life. Condition - This print with excellent color and detail as shown. Slight toning. Please see photos for details. Nice overall.